LYA's Early Childhood programs are designed specifically to meet the needs of young children in the community. Licensed by the Department of Early Education & Care (EEC), the Pre-K and kindergarten offer children from 15 months to 5 years an all-day, year round experiential program in a stimulating, secure and nurturing environment. For LYA's earliest learners, those from 15 months to 2 years 9 months of age, the program focuses on developing physical, social, cognitive and motor skills. In the Pre-K for 3 and 4-year-old children, the emphasis moves to developing communication and learning skills and nurturing a healthy self-esteem. Pre-math and pre-reading skills are introduced when students are ready. The Kindergarten program is designed to address the needs of individual students and facilitate their transition to early primary education. Small classes with an excellent student-teacher ratio ensure that each student's particular talents are recognized and encouraged by the supportive staff faculty. Curriculum enrichment in the arts and other areas begins in Pre-K and continues at all grade levels. The outdoor playground allows children to explore and exercise in a protected setting. Lilia Luzhanskiy joined the LYA team in August 2010. She received her degree in Early Childhood from Open University, Tel Aviv, Israel and the Levinsky College of Education, Tel Aviv, Israel. Lilia Luzanskiy holds a degree of Associate in Arts from Springfield Technical Community College. 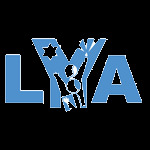 Lori has been a part of the LYA since 2006. She holds a Liberal Arts Degree with a focus on Early Childhood from Bay Path College and is a licensed Early Childhood Teacher through the Massachusetts Department of Early Education and Care. Stephanie joined the LYA staff in the fall of 2013 after interning at LYA in the 2012-2013 school year. She holds a Bachelors Degree from Bay Path College. Click here to see Stephanie's Class in action. Faigie has been a part of the LYA team since 1996. She received her Judaic teacher's certification from Bais Rivkah Teachers Seminary in New York, with an emphasis on Early Childhood and Elementary Education. Faigie is a co-director of Camp Gan Israel Longmeadow. Sarah joined the LYA team in 2012. Ms. Valente has a B.A. from Bay Path College in Liberal Studies with a focus on elementary education and an M.A.T. in Reading Specialist from Elms College. 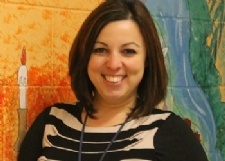 She has a MA teaching certification in elementary education and reading specialist. Rochel Leah has been a part of the LYA team since 1988. She received her Judaic teacher's certification from Bais Rivkah Teachers Seminary in New York, with an emphasis on Early Childhood and Elementary Education. She was a recipient of the 1997 and 2008 Harold Grinspoon Award for Excellence in Jewish Education. Rochel Leah was a 2008 recipient of the National Grinspoon-Steinhardt Award for Excellence in Jewish Education.